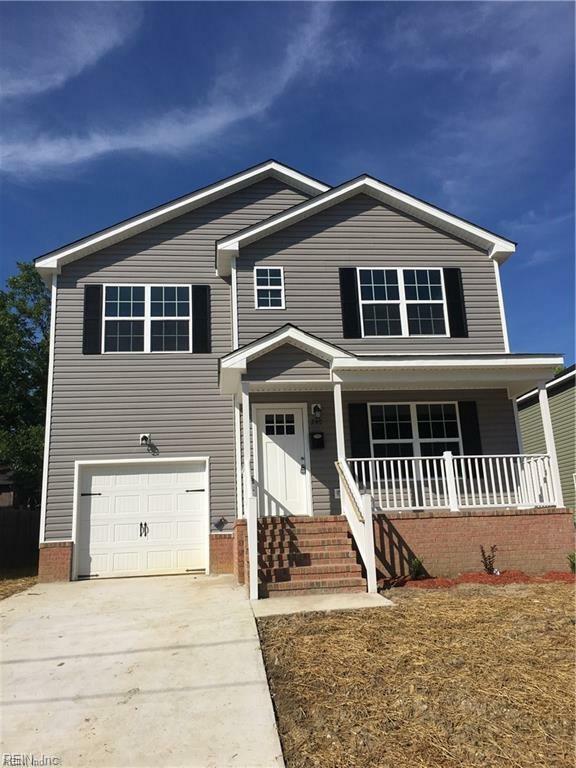 416 Cooper St, Hampton, VA 23669 (#10231597) :: Abbitt Realty Co. THIS BEAUTIFUL HOME FEATURES A BRIGHT OPEN FLOOR PLAN WITH 4 LARGE BEDROOMS INCLUDING A MASTER SUITE W/ DOUBLE VANITY & SEPARATE TUB & TILE SHOWER, 2.5 BATHS, AND A 1 CAR GARAGE! HOME WILL HAVE GRANITE COUNTER-TOPS, S/S APPLIANCES, LAMINATE AND TILE FLOORING THROUGHOUT 1ST FLOOR. THIS HOME IS IN AN EXCELLENT LOCATION WITH EASY ACCESS TO INTERSTATES, MILITARY BASES, BEACHES, ENTERTAINMENT & GREAT SHOPPING! 45 DAYS OR SOONER DELIVERY DATE!